Packing is torture, hey. How are we, just young travellers, supposed to efficiently select, separate, fold and roll each and every item of clothing we need to take on a journey, only to have to unpack, wear, wash, re-fold and roll them again and again as we zig-zag our way through cities across the world? I mean, I’m only one person. I can’t do it all. So here’s a solution. 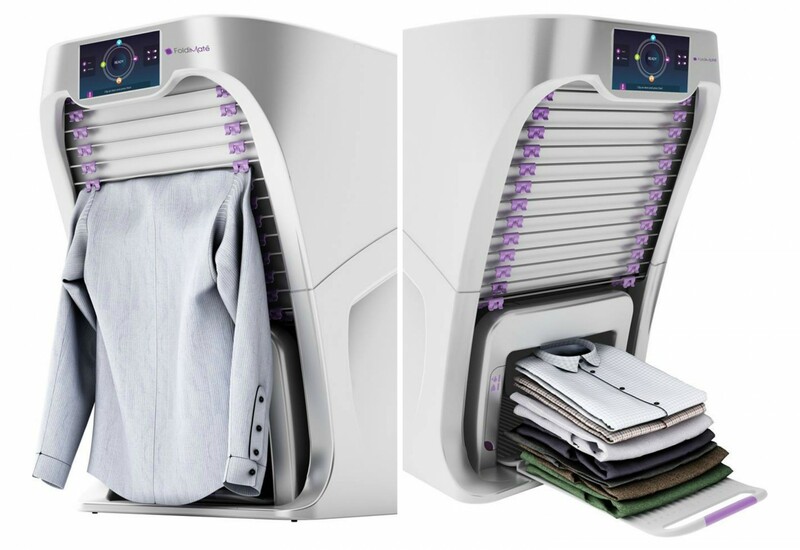 It’s called the Foldimate and it’s a robotic clothes-folding machine, perfect for the lazy busy traveller on the go. Just shut up and take my money. As well as the excellent folding function, the machine will also de-wrinkle, perfume and sanitise your garments. To work it, simply hang your items on the machine’s front-facing clips. A robotic arm then takes the garment and swiftly folds it for you. Hey pretso, you’re ready to pack. So obviously the Foldimate can’t come along with you on your worldly travels (bummer) but it will help with the initial packing, as well as the dreaded end of trip unpacking and cleaning, which we can all agree is definitely the worst part. The mechanism behind the Foldimate is currently still in development but the company anticipate the product will be ready as soon as next year. Check their site for updates.